Many people assume that one person cannot change much. Today's Person-of-Mystery proved otherwise, ninety years ago this week. Will anyone volunteer a correct answer? Nate: I'm stymied. Looks like Brian Williams grandfather but with a Habsburg chin. Mebbe the young Jonas Salk? Jim, it's not Jonas Salk and neither is it Brian Williams' grandfather. As a history teacher, I like to mark the anniversaries of important events. 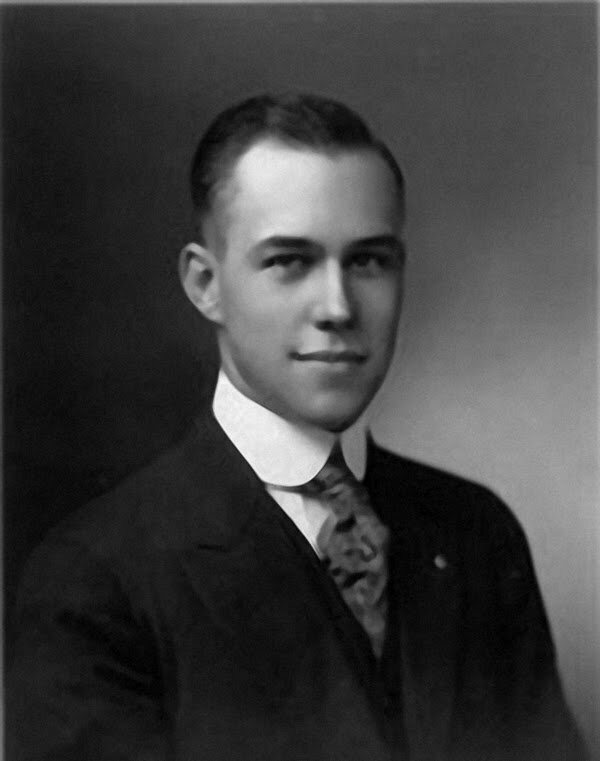 It's too bad that school hasn't started here yet as I'd certainly be talking about this man who made a difference for many people in America, 90 years ago this past week. Perhaps it would help if I told you that he was known as being a mama's boy. The 19th amendment to the US Constitution (allowing women to vote) was ratified in August 1920. Knowing that, it was not too hard to find this gent. He is Harry Burn. Wikipedia tells me that he supplied the vote that broke a tie in the Tennessee legislature, so that Tennessee ratified the amendment. That meant that enough states had ratified the amendment for it to take effect. Beth, that's correct, today's Person-of-Mystery was, Harry T. Burn, a Tennessee legislator who at the age of 24, switched his vote at the final moment (at the urging of his mother), allowing Tennessee to ratify the Nineteenth Amendment to the US Constitution. you means I kin vot now? Yes, Charity, and they also did away with those pesky literacy tests too!